What is it about the French and style? Clothes, food, home decor... they seem to have an innate design sense that leaves many of us coveting all things French. 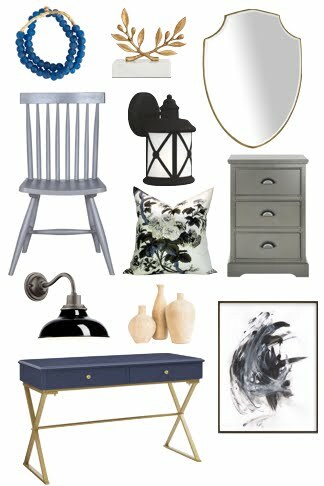 We'll be heading to Paris soon and of course one of the things on my mile-long shopping list is picking up something beautiful for my home. Perhaps its vintage linens, a small painting from Les Puces, or something for the kitchen. I picked up salt and pepper grinders when we were in Paris on our honeymoon and every time I see them, I remember the city, the gorgeous department stores, la belle vie. What makes a home quintessentially French? I've gathered a few ideas to give me inspiration. Hand carved details, upholstery rendered in silk, tufting. You'll see exquisite details like these on French furniture like headboards, armoires, or settees. I think having even a single piece like this in your home would make the whole room feel special. A little bit of luxury to catch your eye and spark conversation. When you think of a French chateau or the Palace of Versailles, what comes to mind? For me, its the lighting - gorgeous chandeliers dripping in crystals. I've long been a fan of statement lighting in a room (here's one in my bedroom and one I put in at my sister's apartment). Lighting can bring interest to a boring ceiling and create ambience. 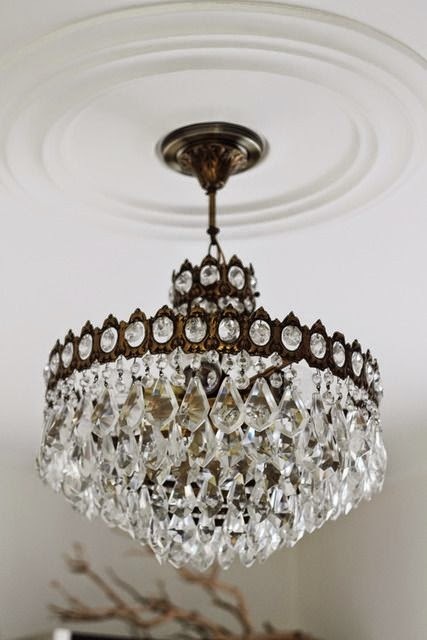 If you're going to hang a chandelier, add a ceiling medallion as well to really give the light fixture presence. 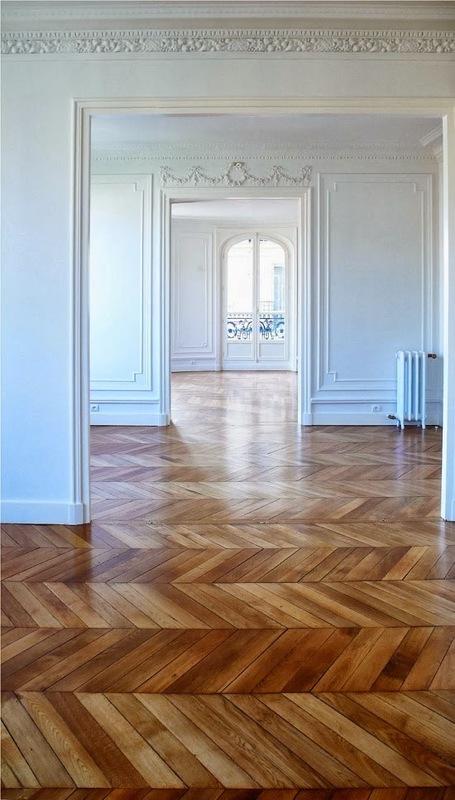 Whether its because of the chevron or herringbone wood floors, elaborate mouldings, or beautiful door frames , the bones of a French home are made to stand out. Look how stunning this room is, even bare and without any furnishings. I'd love to have a formal space in my home like this. With a room this stunning, you can decorate sparingly. 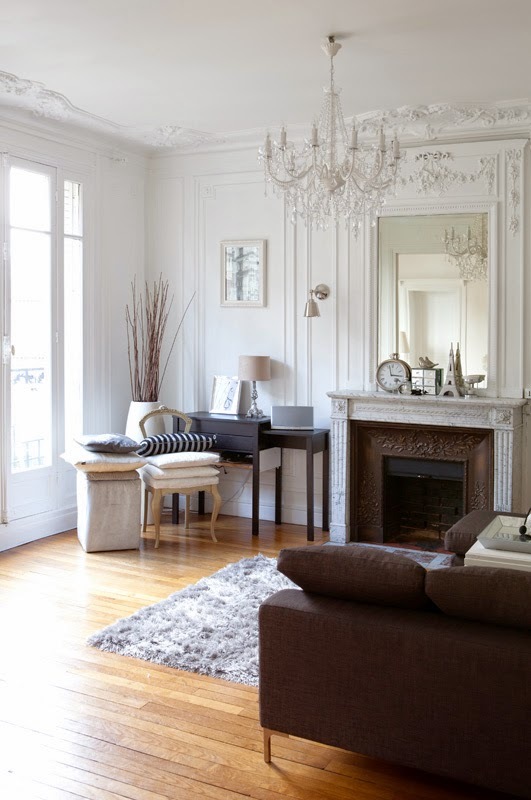 If you look at a French interior, chances are it will have a palette of white, black, grey, and wood. The entire city of Paris seems rendered in this colour scheme, from the creamy Haussmannian buildings to the grey iron of the Eiffel Tower. I admit, I wasn't always a fan of white rooms. But the more I live in my home, the more I crave white painted walls. 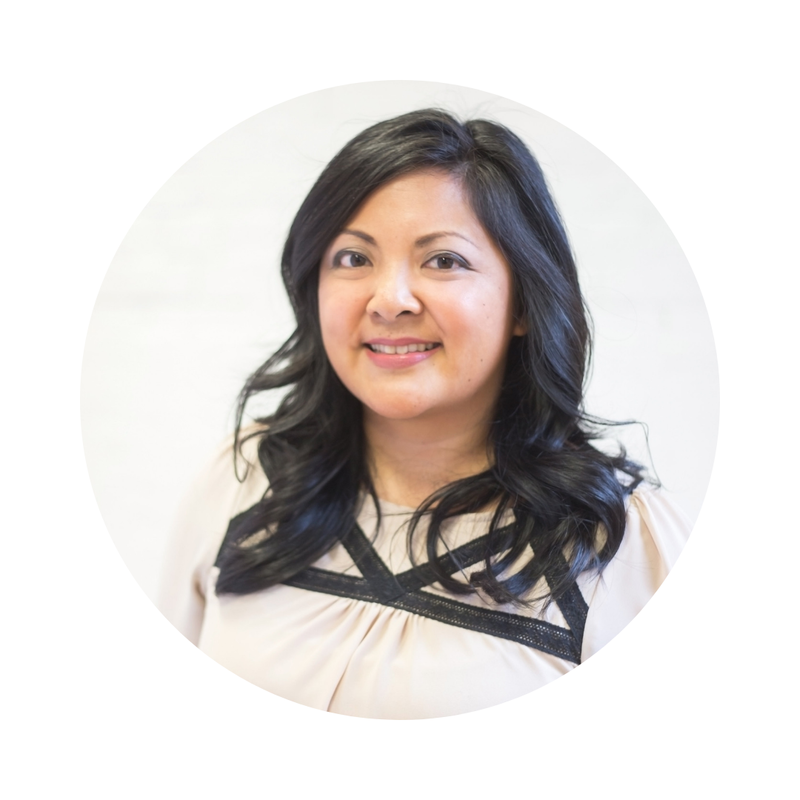 They are the perfect quiet backdrop and can make a room feel sophisticated without even trying. I think that's the essence of French style - it seems effortless. The French seem to take joy in the details. Beauty can be found in things that are subdued, simple, but delightful to the eyes and the touch. Tell me, are you a fan of the French style?